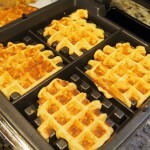 This waffle is our family favorite and I’m not quite sure what has taken me so long to post it here. It’s probably that I don’t have any good photos of the waffles. But I’m trying to move beyond my meager photographic skills and still share this recipe. This is what happens when you let your seven year old make the waffles. We’ve been making these waffles since Jim and I got married. The recipe originally came from my mom and dad, but I’ve made very few tweaks to it over the years. We got our first waffle maker as a wedding present from Jim’s Aunt Terry and Uncle George. That first one lasted us about 10 years and I loved the deep wells that it made in the waffles. We’ve since moved on to a waffle iron that we found at Williams Sonoma, but our requirement for a nice big Belgium waffle is still met. We will never have any of those wimpy, soggy little waffles around here! 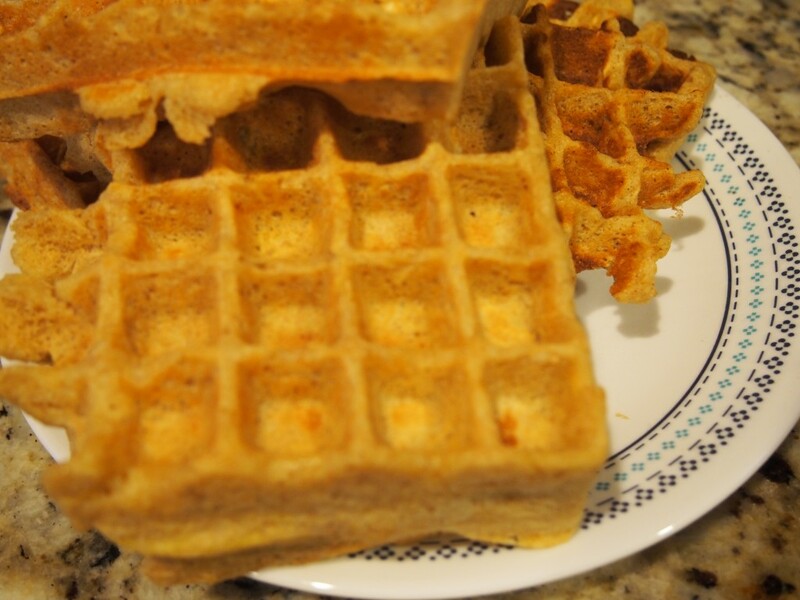 These waffles are hearty – definitely not light and fluffy. They are chewy and yummy. One will fill most people up and give enough energy to run until noon. My kids top them with syrup, but I like mine with some apple butter, toasted pecans and whipped cream. Enjoy them as you wish.